This is to help small businesses I have found online that need to work on their Twitter following. I hope others find it useful. Fan Page Robot is an automated social media management and marketing program tailors for busy (or lazy) internet marketers. It not only allows you to manages all your social media accounts, pages, and scheduling from a single location, but also can automatically create quality content and autopost to your accounts. Enter your keywords to generate compelling local content. 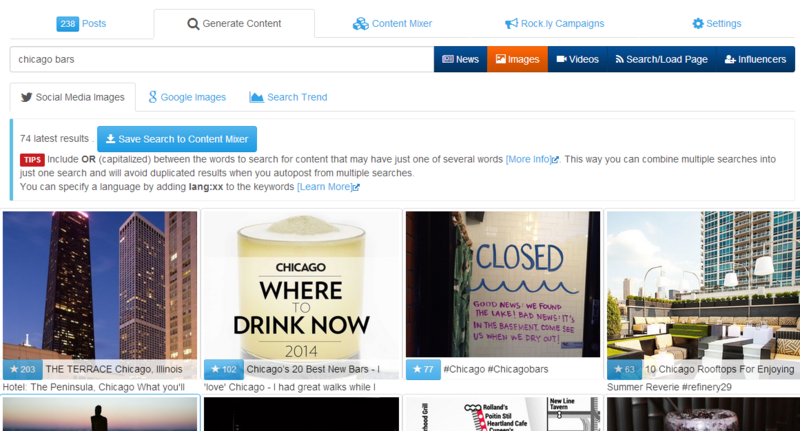 The content generation and curation tools at Fan Page Robot make it extremely easy. Use your keywords to find and connect with local influencers in your industry. Retweet their posts. Create a popup campaign and post it to Twitter and other social media sites to generate local leads. Fan Page Robot lets you convert any web page into your lead page with just one click. As you look for people to follow, note hashtags they are using for your area, and use these in your own tweets. Respond to your mentions, follow new followers, and look for more people to connect with. I put this together just to help small businesses, I want to help them grow, see the value in social media, and the fun they can have by connecting with the people that support them and their businesses. Please feel free to share this post with anyone you see on Twitter that has a small following. I really appreciate it. If you have more to add, please do so in the comments and I’ll edit the post to include them. © 2015 – 2017, Social Media Consultant. All rights reserved. Pingback: What Twitter Activites Should You Participate In? Amazing!!!!! Get a massive idea about twitter followers…..
yah, get some idea n clear concept from your post.